The Ferrari 360 – the most popular Ferrari ever with more sold than any previous model or perhaps a 550 or 575 with the sublime V12; maybe a 612 or Testarossa? The choice is yours as you join up for an unforgettable Ferrari Italia Driving Tour of Italy. With first class hotels, technician back-up, stunning scenery and hundreds of kilometres in not just one Ferrari but a whole fleet and each one different this is unforgettable. 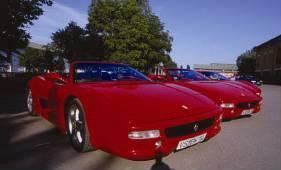 If you are a driving enthusiast what could come close to driving the prancing horse in its home country?